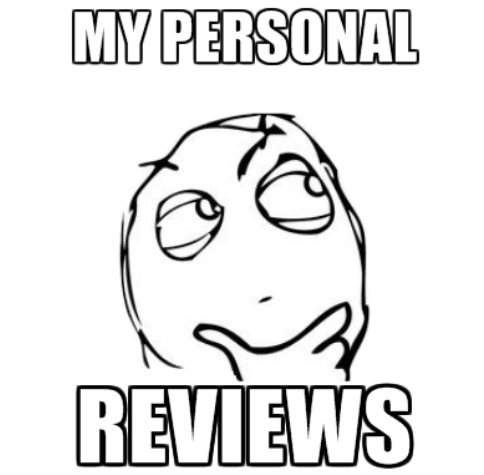 Today I would like to share with you about my experience with the…. 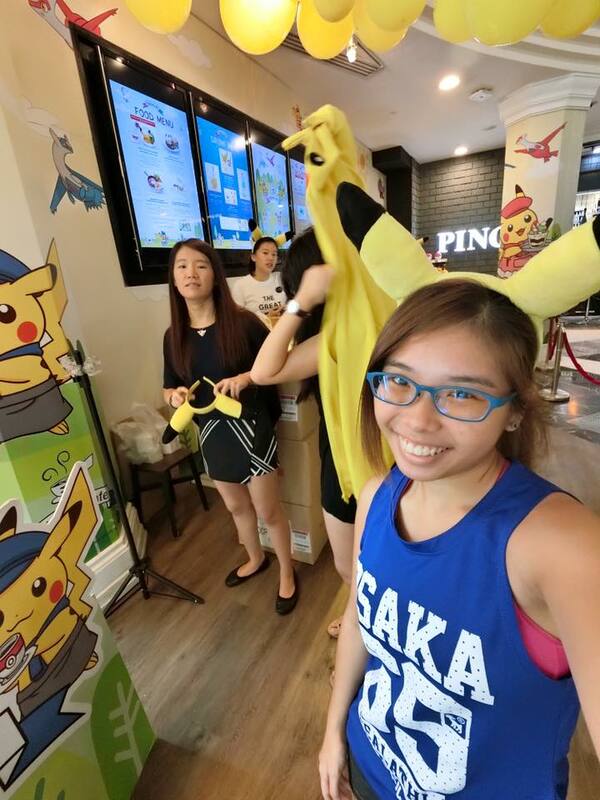 I seldom write about food or cafes but why for Pokémon Cafe? So I wanna share whether is it worth it a not? Like food nice a not? And 8 Tips and Tricks to make the best out of your trip! 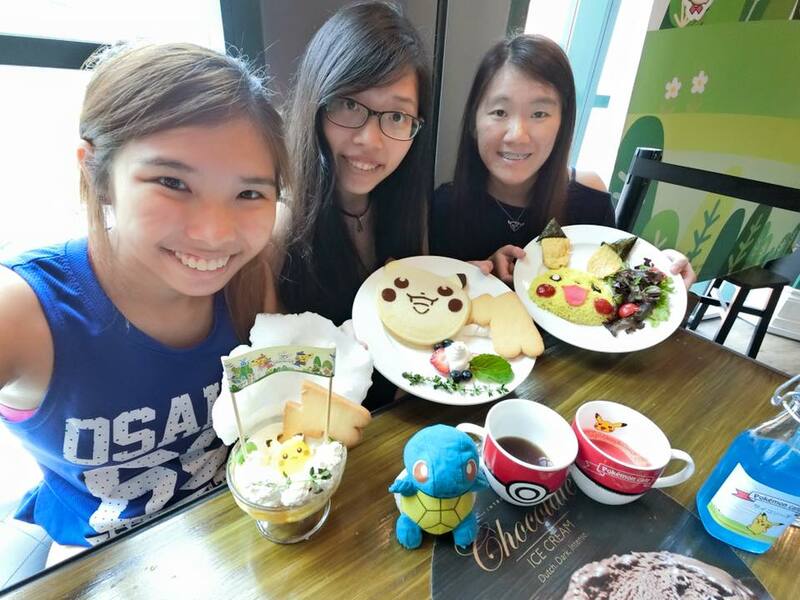 On 6th July 2016 (Wednesday) Public Holiday of Hari Raya, I jio-ed my sisters Theresa and Kelin to visit the Pokémon Cafe @ Bugis Junction. Although the official opening hrs of the cafe is 11am. But when she started queue-ing she is at the end of the line. Means there is people who queue even earlier than her. Theresa started queue-ing @ 10:40am on Hari Raya Public Holiday. When I arrived at 11:10am we are here. There is 2 groups of people in front of us. Finally we are at the front of the line at 12pm sharp. We entered at 12:10pm because I made the decision to wait for a table instead of table sharing with another 3 pax in a table for 6. Eventually we waited for a total of 1hr 30mins. It would be 1hr 20mins if we compromised. But since again we are gonna pay so much… Why compromise? LOLOLS! Let me share Tips & Tricks for the cafe to enhance the experience. 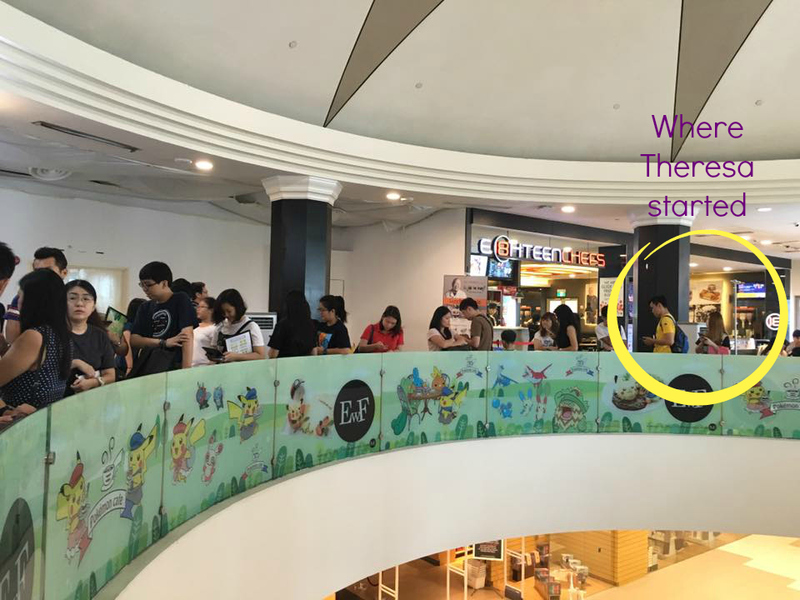 While queue-ing for a table and submitted your order while you are in line…. You can actually go take photo at the photo corner first! Instead of waiting in line to take photos when there is alot of people queue-ing after the meal. Basically just go when there is no 1 there! Simple as that! Or ask the Cafe staff to help you take some photos. Of course find those who are free. I look for the cashier because there is no1 at the cashier as everyone just started eating or still waiting for their food. Borrow their Jacket and ears instead of buying one.. But also be considerate and don’t hog on to them la.. Although I never seen anyone hogging them. I am just saying.. 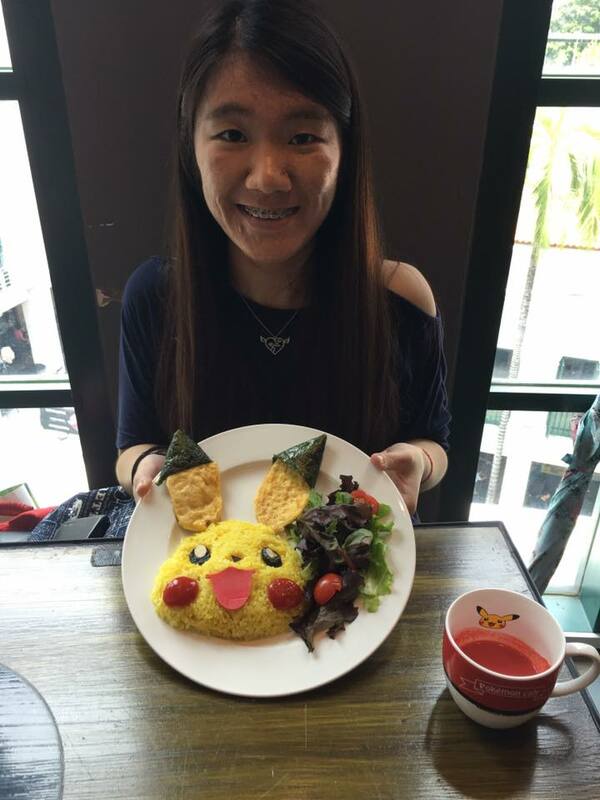 I mean everyone spend so much money and time here already let’s create a nice experience for fellow Pokémon fan..
Order the Pikachu Smiling Rice Omelette with Magma Sauce. Comes with this free mug. Rest assure, they give you a new one so you no need go wash this cup at the toilet and bring it back. This Magma sauce is like curry sauce. Quite yummy. Then maybe because we took photos for too long so it turned cold but still very tasty. I give it 10/10!! Must-order! I even introduced it to my friend Alicia to choose this dish. I said… “It’s a must eat” But eat it hot. But you need to take picture too! 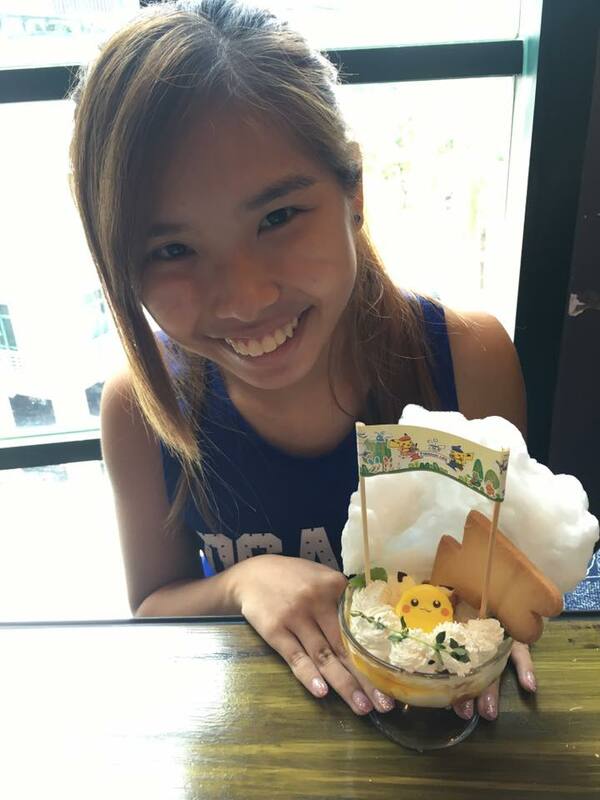 Erm… Dont order the Pikachu’s “Thunder Shock” Parfait… Unless you have really sweet tooth! Heng never kena SUGAR RUSH!!! LOLS! I think the mango below quite nice because abit sour then mix with the sweetness is ok. I have really sweet tooth so I give it a 6/10. It’s a pass! 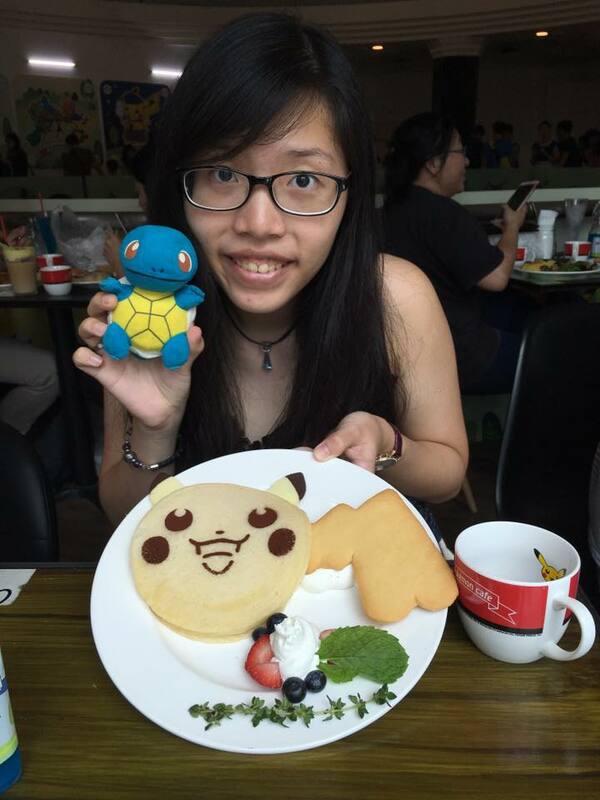 Because of the “plate-ing” and decor and the Pikachu tail biscuit is nice. If you would like to save $5 and still get the Pokémon mug..
Order the Pikachu’s Sweeeeet Pancake..
It’s not very sweet, taste like normal pancake. I would rather pay $5 more for the rice. But if you are very full and here just for the mug then take this and save $5!!!! There is only 2 dishes that comes with the mug. The rice and pancake. So it depends on you. 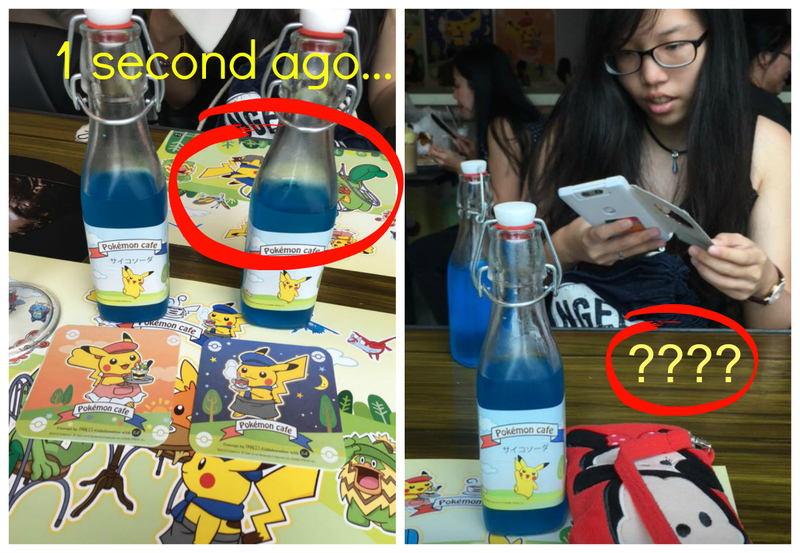 Remember to bring the Pokémon Cafe’s Soda Pop glass bottle back home. Theresa told me her friend’s first visit forget to bring the bottle home so she came the 2nd time and took the next table’s forgotten bottle home. The blue soda tasted a little funny like medicine and not very gas-sy. But aiya, I want the bottle nia and the coaster. This is a live video on my periscope account @Gerlyn. The video is there for lifetime so feel free to watch them whenever you are free to know more about my times in the Cafe. Remember to keep the Limited Edition Coasters and Limited Edition Placement Paper before the Cafe staff accidentally wet them! I am the kind of person who can tabao basically everything back as seen in the Hello Kitty Jetplane. 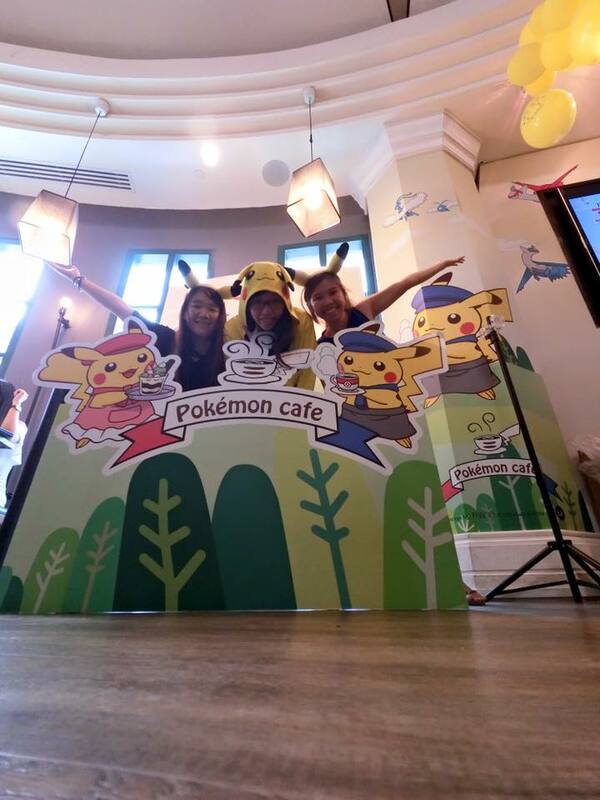 Of course Pokémon Cafe will not be an exception! Say me kiasu? Tell you what! Theresa and Kelin more kiasu and I have evidence! The coasters soooo cute right? I think the paper can forget it but coasters confirm must remember to bring home…. Don’t say i never remind you! 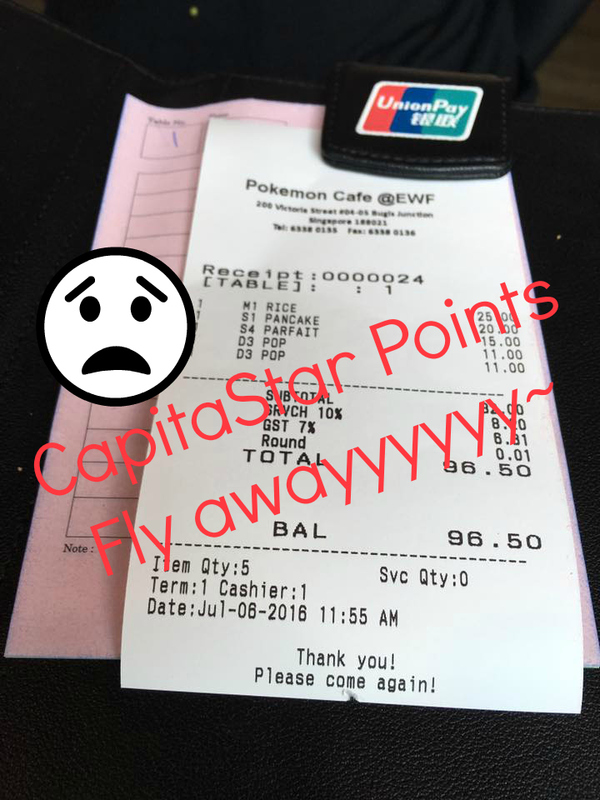 Last but not least… Remember to SCAN your receipt for the CapitaStar Points!!! Can you imagine I forget to scan?! $96 worth of points flew off liddat!!! Sorry, married woman is liddat one.. Very Auntie always talk about points here and there! Question 1: Is it worth it a not? Question 2: Is the food nice a not? I only tried 3 food. The rice, pancake and Parfait. In terms of ranking, the rice is the nicest. I think the curry really sedap. I don’t mind going again just for the rice because Kelin give me 1 mouth to try and I very buay paiseh and scoop-ed the 2nd time and 3rd time myself and tell her.. “Aiya should have ordered this!” LOLS! Sorry Sis for stealing your food. Question 3: Worth the queue? 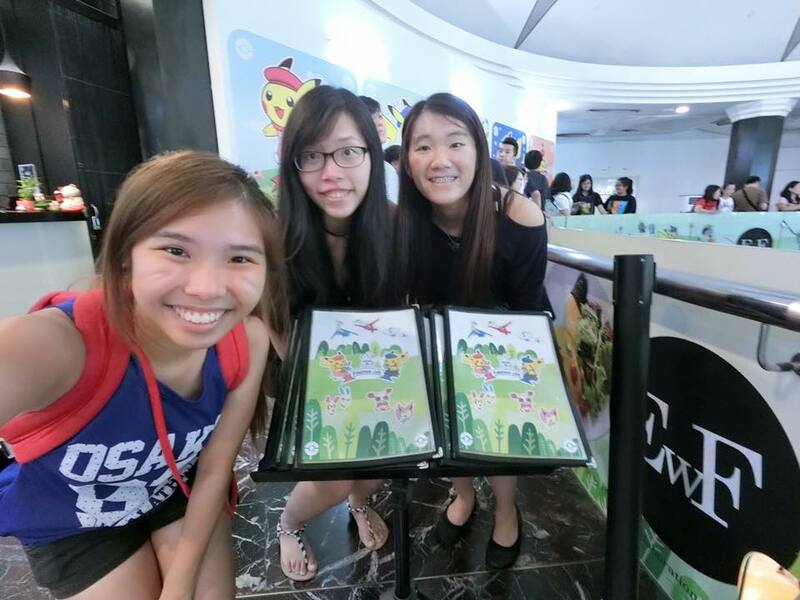 I queued for 1hr 30mins, I think is reasonable as I saw my friend queue-ed for 2hrs during dinner time. I think I can’t say worth the queue a not. 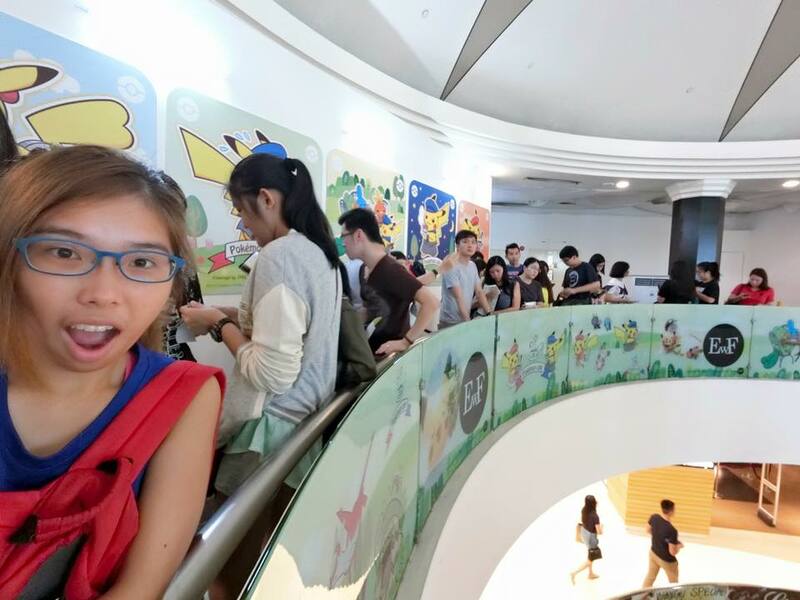 If you say for food, I will say not worth the queue, but if you say you come for Pokémon then definitely yes. For the 3 of us.. But maximum i will wait for 2hrs. If more than 2hrs I will probably walk off. LOLS! Question 4: Is it overpriced? Obviously YES! But Cafe standard leh.. So it’s hmm.. I think… Slightly overprice. But I will say reasonable because again for the aesthetic of the food, the looks of the Pikachu food.. Eating Pikachu, Drinking Pikachu, Dining with Pikachu. And you mus know this cafe confirm pay alot for copyright and rental for this area. Inside Bugis Junction (Town area shopping center) they took almost 100% of the whole level 4 leh.. Rental confirm chor.. 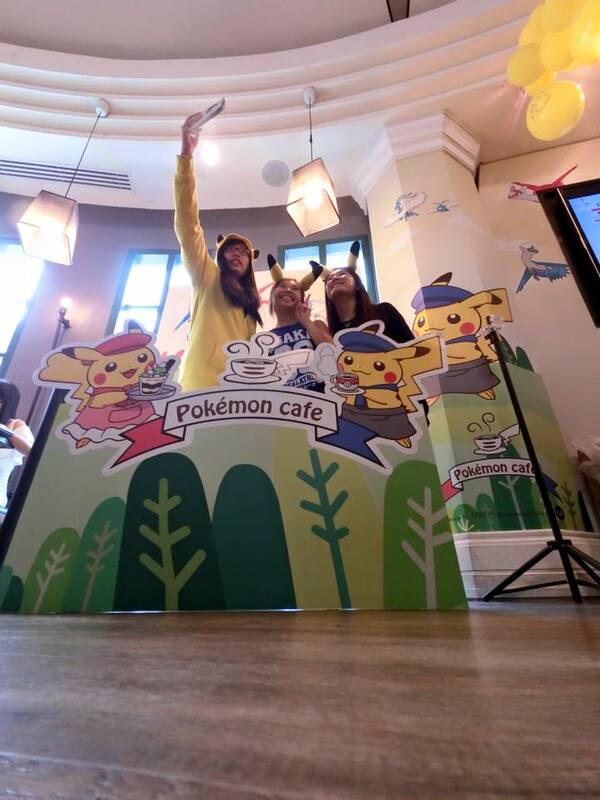 But I do hope EWF Cafe earn a lot for this temporary Pokémon Cafe and eventually bring in other characters from the Pokémon family. Photos belongs to respective owner. 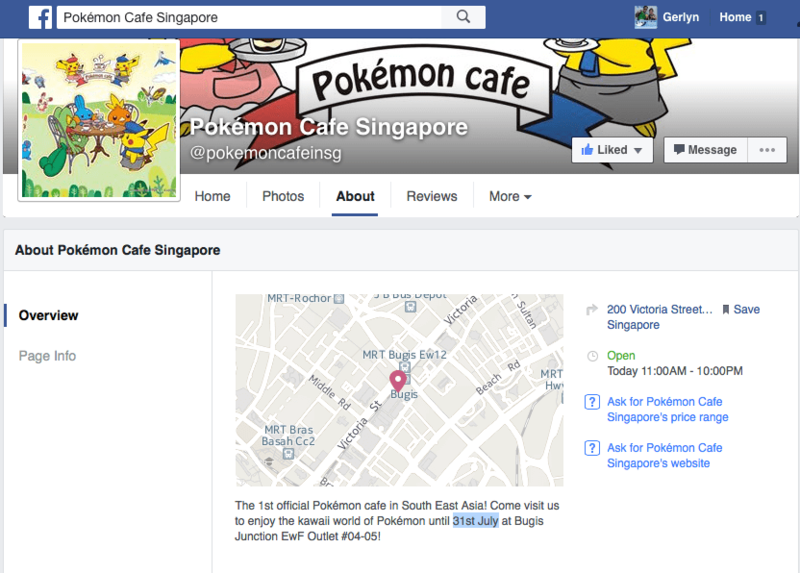 For those who have not visited the cafe, here is their address. For more photos, visit this album!